With the advent of the new technology, e-commerce seemed to have exploded in China. But for quite some time issues have arisen concerning problems associated with the rapid growth of the e-commerce business. Michael Tan from Taylor Wessing examines these problems, and the new law designed to curtail them. The world has seen China growing into one of the largest consumer markets, boosted in particular by its fast-emerging e-com­merce sector, which is already a pivotal part of the country’s economy. Besides many well-known online marketplaces like Alibaba, JD and the newest force Pindu­oduo, there are a host of other players that operate under different business models, including the very popular shop­ping-from-offshore model (haitao or 海淘 in Chinese) in which many foreign brands and players also have a stake. Governmental agencies have been taking various actions to regulate e-commerce, which resulted in the introduction of the new E-commerce Law on 31st August 2018. The legislative process for this law has taken some time: its unprecedented four rounds of review by the congress attracted heated debate among experts and industri­al stakeholders in many fields. Having taken effect on 1st January 2019, below are some of the key highlights of the law that are of particular relevance to those with interna­tional operations. Coverage of the E-commerce Law is very broad. According to Article 2, e-commerce refers to any operational activities that sell goods or provide services via information networks like the Internet. Article 9 further defines e-commerce operators to be individuals, legal persons (companies) and non-legal person organisations who carry out e-commerce, as per the aforemen­tioned definition, including e-commerce platform operators, merchants operating on e-commerce platforms and others selling goods or providing services via self-con­structed websites or other “network servic­es”. This broad definition could therefore cover all online associated sales activities, of either goods or services, by an individual or a company via a traditional webpage, social media platform or any other internet tool. In this context, many tricky questions could arise. For example, will the popular over­seas buy-on-others’-behalf (daigou or 代购 in Chinese), WeChat ‘moment marketing’ and SMS promotions fall within the scope of this law? The quick answer is ‘yes’, since they are obviously online-based or closely connected with online tools or use of social media. The same conclusion will also apply to the cross-border delivery model that has been adopted by some foreign brands targeting Chinese consumers while keeping their operations abroad to avoid onshore exposure. Although Article 2 of the law states that it applies to e-commerce activities within the territory of the PRC, the various connection factors (e.g. promotion and performance within China, ICP filing re­quirements) will bring cross-border delivery models closer within reach of the Chinese authorities. A further hint in this regard can be found under Article 26 of the law, which was newly added in the published final draft and explicitly stresses that those conduct­ing cross-border, e-commerce operations shall abide by the laws and rules on import and export supervision. Considering the tendency of the Chinese Government to of­ten launch an enforcement campaign when a new law becomes effective, many existing business models will need to be legally re­visited and adjusted where necessary so as to better accommodate the increased legal exposure brought by the new E-commerce Law. Business registration: except for very few types of rare and small person­al businesses, Article 10 of this law requires all e-commerce operators to handle businesses’ registration (市场主体登记 in Chinese). Where a special licence is required (e.g. food or drug-re­lated), such licences shall be obtained according to law. The registration and licence information should be publicly disclosed. This triggers a tricky ques­tion: should an offshore brand targeting Chinese consumers also follow this onshore registration requirement (=in­corporation)? Taxation: according to articles 10 and 14, e-commerce operators are required to pay tax and shall issue paper-form tax invoices (fapiao) or electronic fapiao, as required by law. A market­place platform has the legal obligation to report a merchant’s identity and other tax-related information to the tax authorities, and shall keep trans­action-related information for at least three years. This new mechanism will make all taxable revenue transparent to the tax authorities. Some tax-related grey areas practiced in the past will no longer be feasible. Intellectual property (IP) protec­tion: both marketplace platforms and merchants are obliged to respect and protect IP rights. Fake goods and ram­pant infringement of IP have been quite iconic phenomena associated with the rapid growth of China’s e-commerce business. Also, many good designs have been pirated. Article 45 codifies the existing judicial practices by clarify­ing that marketplace platform operators shall assume joint and severable liabili­ties if they fail to “take necessary meas­ures” to stop sales after it is determined that they knew or should have known of any infringement of IP rights regard­ing items sold on their platforms. The term “necessary measures” is defined modestly to cover deletion of online advertisements, as well as termination of services by platforms. Market order and competition: Article 17 of the law stipulates that an e-commerce operator shall fully, truly and correctly disclose information in a timely fashion about the goods or ser­vices it is selling, to ensure consumers’ right of information and right of choice. Fake transactions, forged comments and misleading promotion is strictly prohibited. A marketplace platform shall establish a credit rating system for consumers, and comments made by consumers shall not be deleted (so as to ‘dress up’ sales). Cheating/manipu­lating in marketing and promotion ac­tivities has long been a big issue. Such illegal practices will now face penalties, which is a very positive step forward. Privacy and data protection: China still does not have a systematic legal framework to regulate privacy and personal data protection issues. Even though the Cybersecurity Law, effective as of 1st June 2017, incorporated a spe­cial chapter addressing personal data protection, privacy and personal data protection regimes still remain a patch­work of fragmented rules found under other laws, measures and sector-spe­cific regulations. The E-commerce Law continues along this path. Article 18 of the law now addresses the issue of consumer profiling. When offer­ing goods or services, including search results tied in to consumption preferences, an e-commerce operator shall also offer options independent from the concerned consumer’s personal profiling so as to respect and treat consumers equally. This clause could impact the very controversial “smart marketing activities”, whereby some players intentionally abuse their data-rich position. To avoid circumvention, Article 19 further stipulates that for any linked sale or service (e.g. profiling-based recommenda­tions), a reminder shall be provided with a default opt-in not permitted. Any violation in this regard will result in legal punishment including a fine up to Chinese yuan (CNY) 500,000. 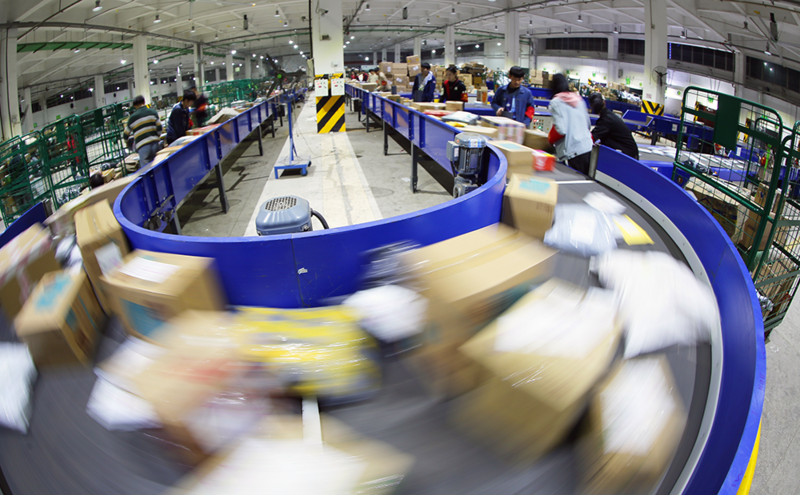 A huge amount of parcels were processed by an express company in Hunan Province during the Double Eleven Shopping Festival last year. 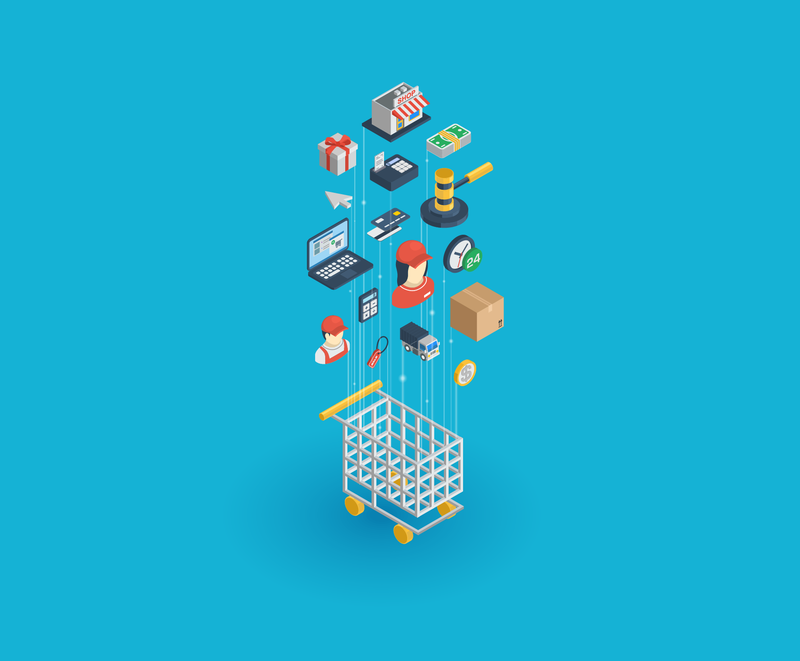 It may seem to be unique to see a specific law being enacted to regulate e-commerce activities, since the topics of concern that fall under the E-commerce Law could seemingly have been regulated by other laws, for example consumer protection, competition, contract conclusion or data protection. Again, China takes a very prag­matic approach to house all these topics within the E-commerce Law. However this could trigger some practical implications international operations should pay special attention to. For example, the very broad definition of e-commerce activities and operators and the explicit reference to cross-border operations could likely grant authorities a legal basis to examine and challenge some easy-to-start but risky business models like cross-border delivery from offshore. The statement under Article 4 of the law, that the government shall treat both online and offline commercial activities equally, sounds quite reasonable. However, considering that there were fewer rules reg­ulating online commercial activities, such a statement generally seems to indicate a heavier regulatory burden for e-commerce operators in the future. As always, enforcement is the key in China and how the regime will develop efficient enforcement tools must be closely ob­served. Taylor Wessing LLP is an international law firm with 33 offices internationally, includ­ing in Beijing and Shanghai. The firm has over 300 partners and over 1,100 lawyers worldwide. Share the post "China’s New E-commerce Law"